No introduction needed for Shake Shack - often referred to the East Coast of In-n-Out. Crème was commissioned to design the Herald Square/Garment District location. The result is industrial and a combination of raw materials such as reclaimed wood, concrete, and raw material. 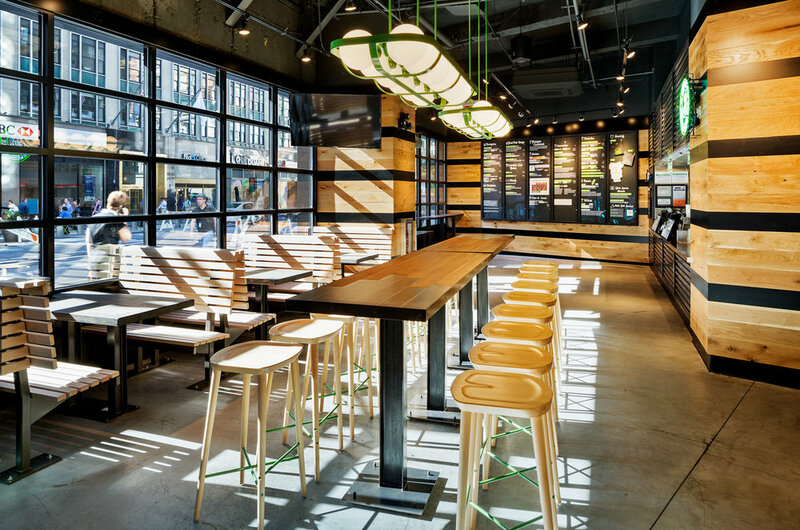 A custom design chairs and stools by Crème with the signature Shake Shack green can be found only at this location. It was one of those assignments that we did not want to leave without grabbing a bite!